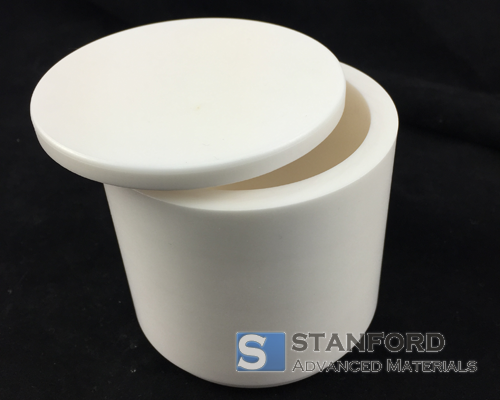 Stanford Advanced Materials is a trusted supplier and manufacturer of high quality Yttria Stabilized Zirconia Jar with Lid for a wide range of industrial uses. We provide regular grinding jars with different capacities of 50mL, 100mL, 250mL, 500mL, 1000mL, etc. 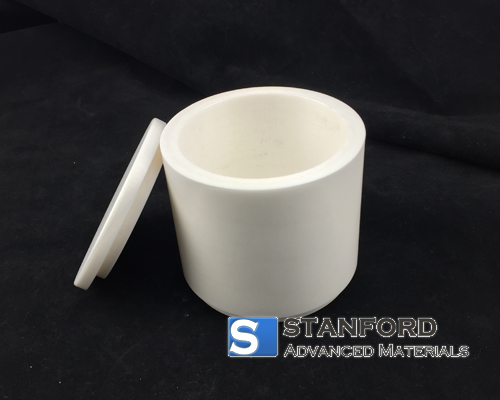 Related products: Zirconia (YSZ) Grinding Media, Zirconia Mortar and Pestle, Zirconia (YSZ ) Tube, Zirconia Crucible (ZrO2 Crucible). 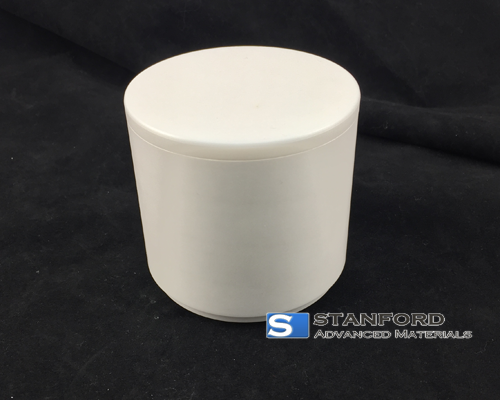 Other names for Yttria Stabilized Zirconia Jar: Yttria Stabilized Zirconia Grinding Jar (YSZ Grinding Jar), Zirconia Jar and Zirconium Oxide Jar. The above dimensions are for your reference. Contact us for precise specifications or tailor-made requests. *Grinding Ball Recommendation: When you use 50mL YSZ jar, 50pcs of Dia. 5mm balls or 8pcs of Dia. 10mm balls are recommended. Yttria Stabilized Zirconia / YSZ grinding jars are used to grind materials into extremely fine powder for use in mineral dressing processes, paints, pyrotechnics, ceramics and selective laser sintering. Zirconia jars and Zirconia balls are strong and have good abrasion resistance, which prevents mixing with other impurities while ball mill grinding. SAM’s Zirconia grinding jars and YSZ grinding jars are carefully handled to minimize damage during storage and transportation and to preserve the quality of our products in their original condition. Material Safety Data Sheet (MSDS) for your reference!